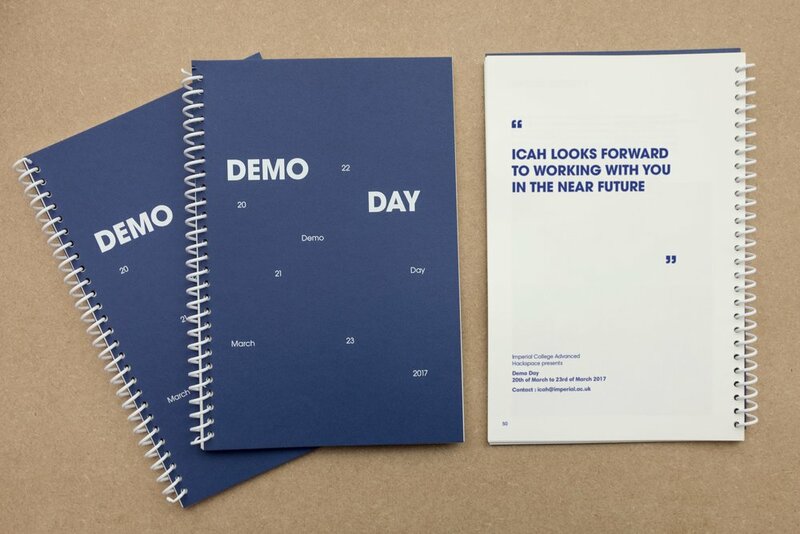 The Imperial College Advanced Hackspace (ICAH) appointed Margot Lombaert Studio to design their show Demo Day. The facility offers support and material to turn ideas into working prototype. Demo Day showcases current work being developed by members of ICAH. We developed a minimal graphic approach to communicate efficiently the complexity of each project. As part of our scope, we designed their text panels within the space and their exhibition catalogue.